Yes. 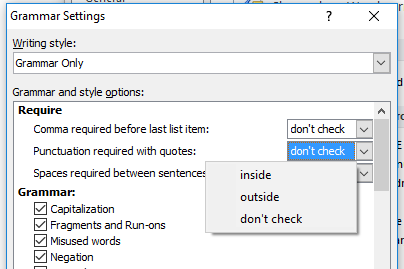 I run the grammar checker on my MS when I want to be tortured by passive language. Look! There’s a passive sentence! Look! You used a contraction. I use contractions a lot. All my characters speak with contractions. They’d sound weird if they didn’t. 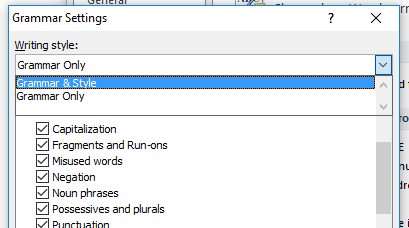 I do check for contractions on a regular basis, as I work with a lot of academic and formal corporate texts, however I use Perfectit to find those and other stuff without doing the whole passive sentences thing. I like to write about this stuff to explain what it is and how to use it, though! 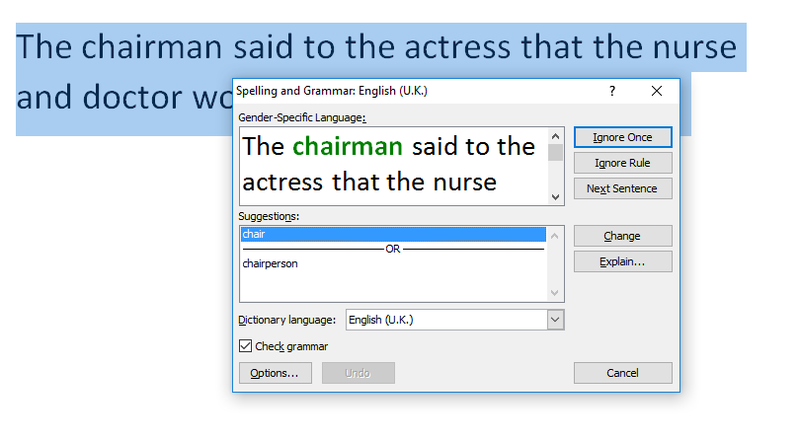 I find the grammar checker on my version of Word for Mac 2008 really problematic. This post inspired me to play around with it a little in a piece of fiction, and as usual it disliked my use of fragments and my willingness to begin sentences with “And” or “But.” Many writers I’ve encountered worry a great deal about these rules; many of them will find Word’s ability to pinpoint such usages helpful. More problematic is its confusion about semicolons. It often advised me to use a semicolon in place of a comma when the preceding or following phrase was not a complete sentence. In those cases, the comma is the appropriate punctuation mark. 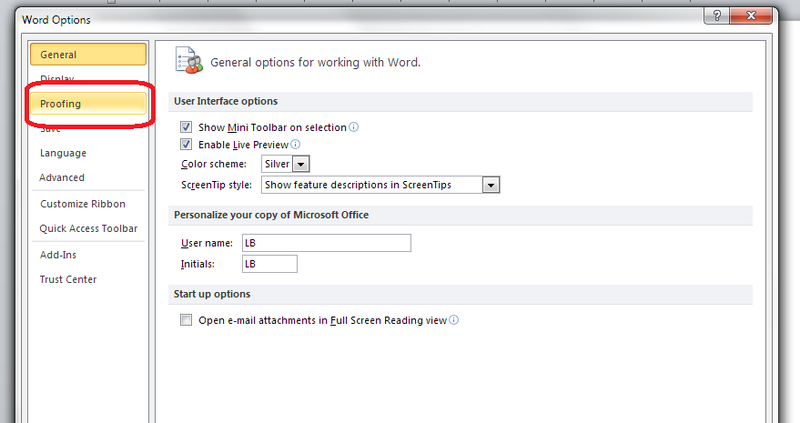 Word seems confused about that. And of course, it doesn’t know how to help you make style decisions in dialogue. A character might naturally start a retort with “But” in a quick moving exchange; if the character chooses “However,” as Word recommends, that’s an entirely different character. 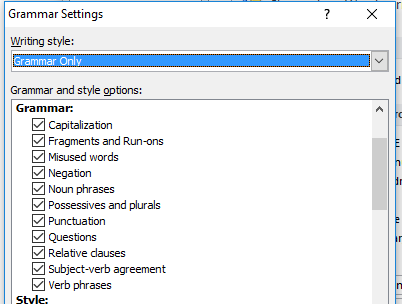 A grammar-checker can’t help with those decisions. Every writer has to negotiate his or her own relationship to rules, ideally through reading and through soliciting feedback on pieces of writing. I have an ambivalent view of rules. 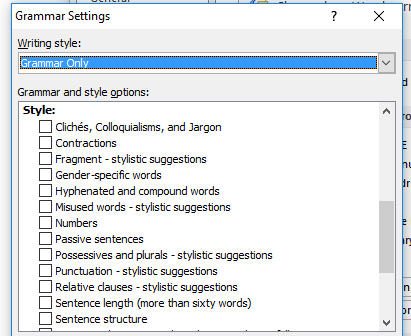 i do think writers should know them as comprehensively as they can, and in some cases a grammar-checker can implant some of the more basic rules in a writer’s subconscious. For example, if the checker can really help people understand how to punctuate dialogue, wonderful! But wrong rules can also be implanted. 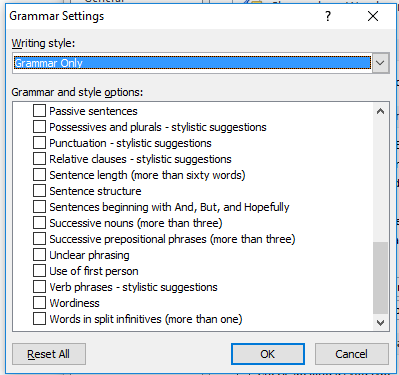 My grammar-checker offers me the option of having split infinitives marked, as well as the use of “hopefully.” Both of these rules are obsolete. 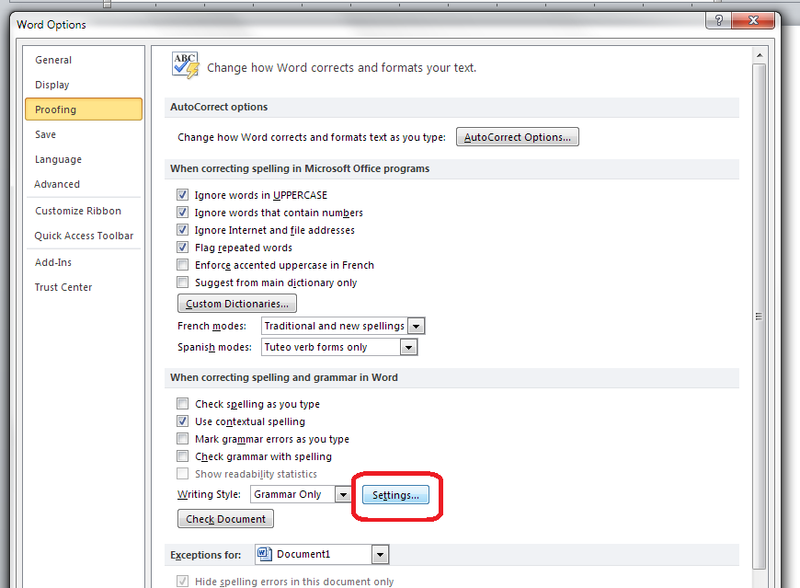 And I do appreciate spell-checkers! But grammar-checkers can also encourage the idea that every rule is absolute, and that the terror of breaking a rule should supersede the development of an ear for rhythm and voice. Too many of the rules we are asked to follow are, in fact, judgment calls–like the commas around “in fact” in this sentence. Learning when and how to make judgment calls that further one’s ability to connect with readers should be the ultimate goal. The bottom line for me is that a grammar-checker should itself be checked. A beginning writer, when told by Word to change something, should follow up that advice by consulting other sources, like style sheets and handbooks, many of which, though conservative, are regularly updated. Thank you for your comments, and I completely agree with them. 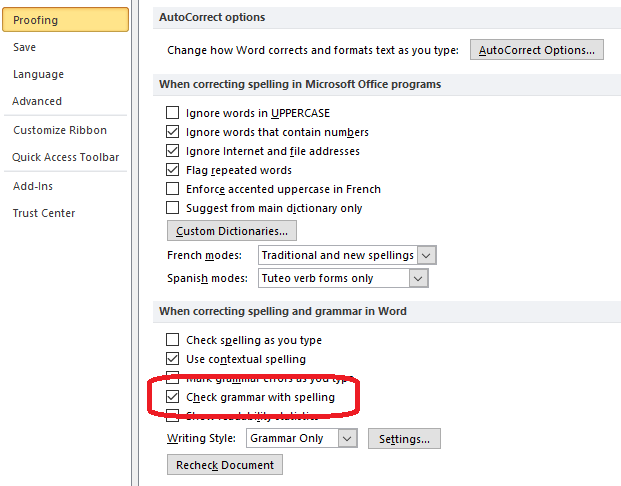 It is useful if you want to be aware of something; I use PerfectIt to pick up the odd thing in post-editing procedures, but – like spellcheck – it’s not to be taken as the be-all and end-all. Hopefully I made it clear that it’s to be used with caution in the piece itself, and the comments are building on that!